Ramsons is short perennial bulb which, in common with many members of the onion family, has a rounded head of star-like flowers. 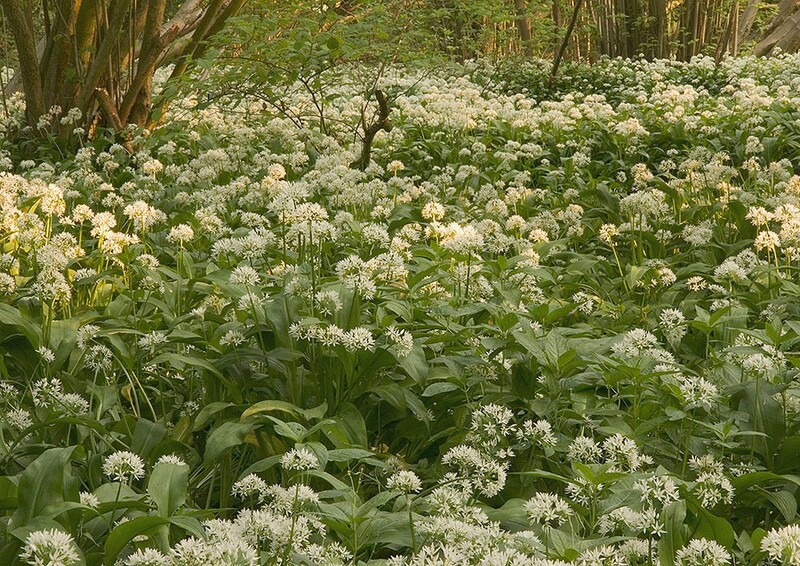 In ramsons the flowers are a clear white and are present from April to June. The stem is from 10cm to 50cm high and is yellowish-green. 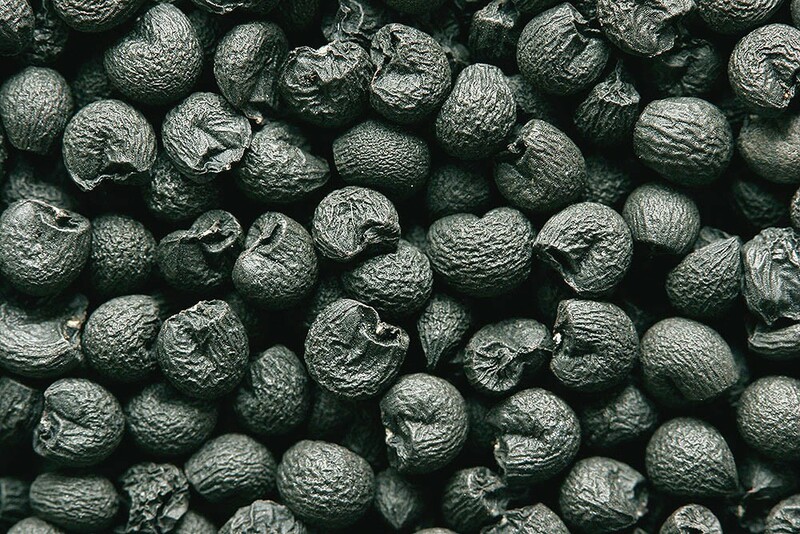 The leaves are broad lanceolate in shape and bright green and quite glossy, however, the most distinctive feature of this plant is the strong smell of garlic it gives off when crushed. A woodland plant of moist, well-drained, base-rich soils it can also very occasionally be found in hedge banks, riversides and even rock crevices. 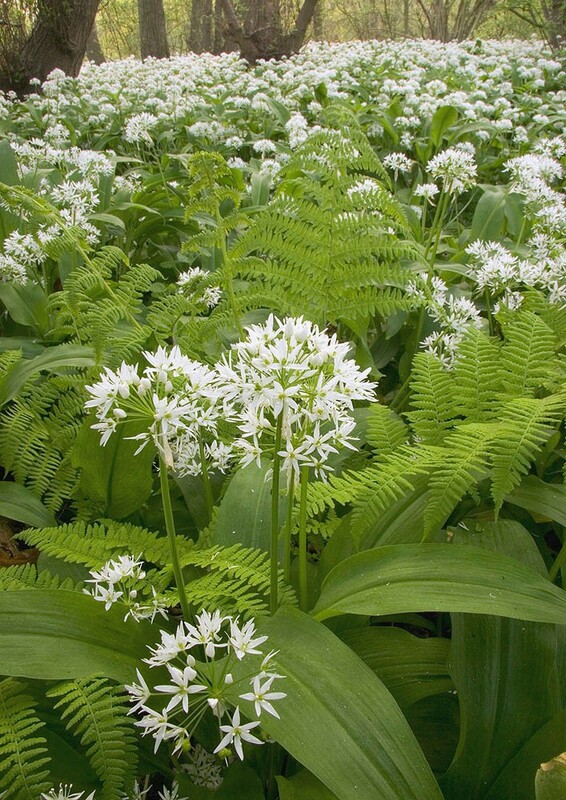 In common with other woodland specialists ramsons puts on all its growth early in the year thereby avoiding the deep shade cast by the tree canopy in late spring and summer. Regeneration is mainly by seed which can be produced in large numbers under suitable conditions. 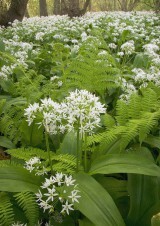 When conditions are right ramsons will form a pure stand out-competing all other ground cover herbs. Although this native plant produces prodigious amounts of seed, dispersal is poor so new woodland sites are not readily colonised. As a result, ramsons has experienced a small decline mainly because of habitat loss. Sow in a shady site under deciduous foliage (preferably dark enough to inhibit grass growth in high summer) in late summer or autumn. Plants usually take three years to flower and can become dominant on ideal sites. 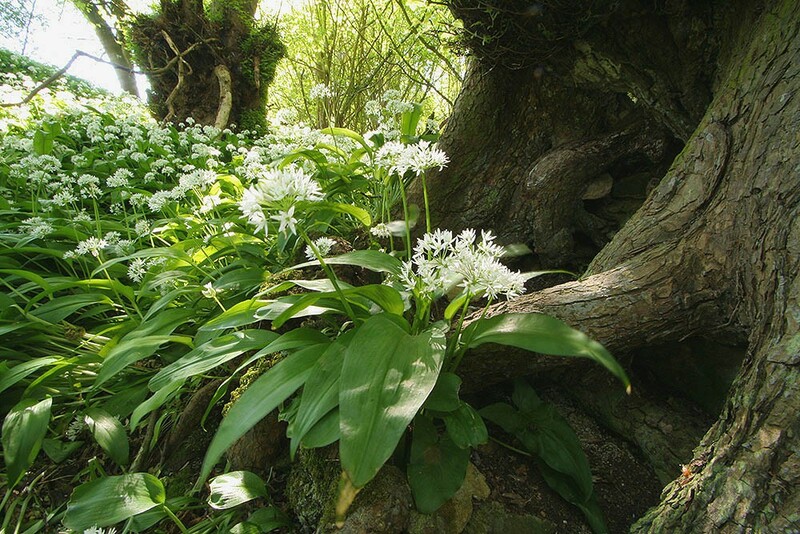 Although ramsons are susceptible to drought and require moist soils they are also intolerant of waterlogged conditions.